Lovely Christchurch is very much the flip-side city to the South Island's other big town, Queenstown. While Queenstown is New Zealand's adventure sports capital, filled to the brim with bungee jumping towers and white water rafting rivers, Christchurch is a tranquil place modelled on the English university town of Oxford. 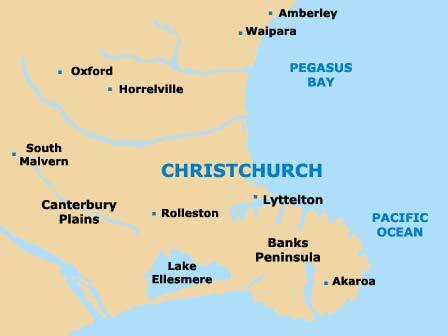 Tourists can even punt down the river in Christchurch, which despite its small size and relative remoteness is one of New Zealand's most desirable places to live. Property prices here are relatively high, although they are around a third less expensive, typically, than properties in Auckland. People tend to look for property in Christchurch in the city's increasingly redeveloped heritage core or on the far side of the city's main hill, where tiny seaside towns like Lyttleton charm new arrivals and make home towns for tens of thousands of happy locals. 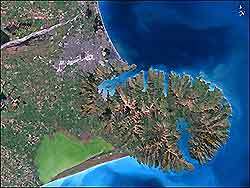 Since Christchurch is a major university town, it hosts many academic conferences and other events during the university year. As a result, serviced apartments are common throughout the downtown area and on campus itself. Most serviced apartments in Christchurch are very modern and usually come with wireless Internet, satellite TV and heating for the city's bracing winters. Renting a serviced apartment in Christchurch costs about the same as renting a similar property from week to week on a long-term lease. Payment of a one-week deposit is standard at the time of booking. New Zealand's Overseas Investment Office (OIO) has sped up the process of foreigners or new arrivals buying property in this country. Basically, any person of any nationality can purchase property in New Zealand along the same lines as a New Zealand citizen. So, buying an apartment or house in Christchurch follows much the same path as it would in most other countries around the world. If the price is right and the buyer and seller agree on terms, mortgages and title deeds are drawn up, and the paperwork and legalities are processed in the same way for foreigners as they are for nationals. Christchurch has a thriving real estate scene and the intimate layout of the city means that in many cases, potential buyers and tenants will be personally driven around to view various properties by the realtor themselves. Despite its relatively small size, Christchurch is by no means inexpensive, but value for money still exists in abundance and local realtors are more than happy to scour for bargains on their clients' behalf. This outlet is part of a national chain built on decades of experience and superior sales records. Versatile and diverse realtors here with wide portfolios across Christchurch and the region. This dynamic sister duo takes care of standalone homes in the Canterbury area, as well as urban apartments in downtown Christchurch.